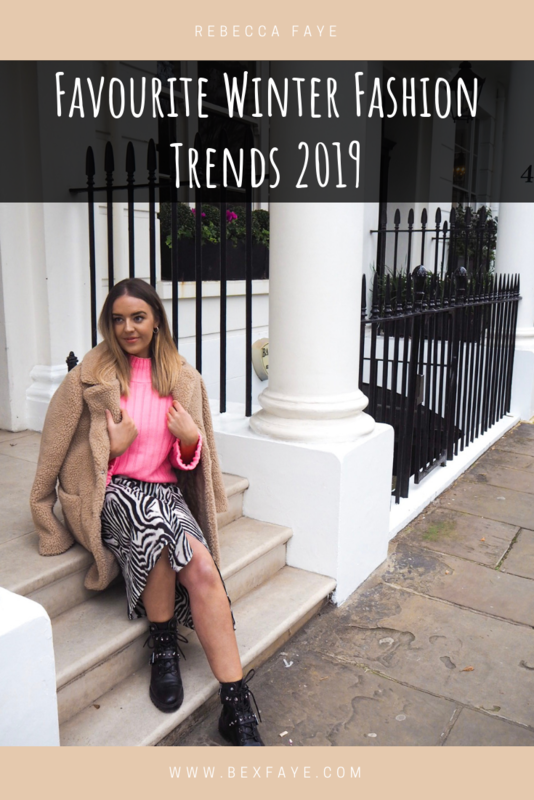 I thought I’d put together some of my favourite trends that are making an appearance this Winter, or are very much on the high street and in your wardrobes already. Staying on trend doesn’t have to break the bank, with all the high street stores stocking up on our fave fashion trends and at super affordable prices (yayyyy) we can’t complain. Zebra Print Moves Forward – Snake Are Your Still Around? Now, as much as I have loved the snakeskin trend, I think it’s about time I stopped buying EVERYTHING in snakeskin print! It was honestly getting a bit ridiculous. I think I had a slight obsession. You’ll be pleased to know, this animal print obsession has now expanded, so not only snakes, but to zebra anddddd the rest of the animal gang, but for now we’re talking about zebra. It really is an upcoming fashion trend and I like it because guess what? It’s monochrome! 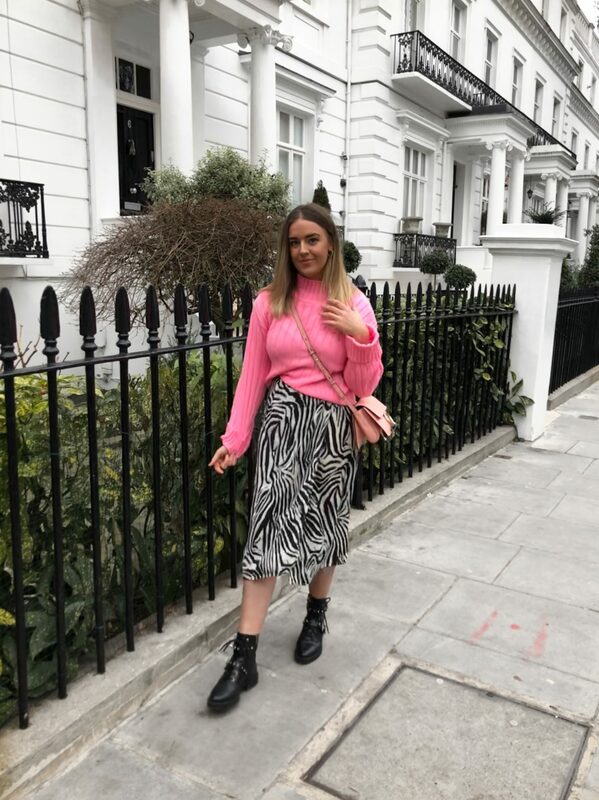 I I’ve styled this particular skirt from Rebellious Fashion with a neon pink jumper (more on neon down the page) to add some colour! What do you think? You may have seen the Topshop satin skirts on Instagram time and time again in all the different colours, but honestly, they really are beautiful and I am 100% loving this trend. I love how you can wear satin in so many different styles. Whether you chuck on an oversized jumper and tuck in the front and rock with some chunky trainers, or whether you slip into a nice bodysuit and pair with some sock boots – either way you are going to look fabulous. Now this is trend that is dividing those in the fashion scene. I don’t really like it, nor do I hate it…but hear me out. If you’re looking to add a POP of colour in your life, then it really is good to have a couple of neon pieces in your wardrobe especially as we come into Spring. I really have quite a dull wardrobe and so it’s quite nice having a splash of colour to go with my otherwise very monochrome wardrobe. I think styling a bright piece with a black/white skirt/trousers, you can’t really go wrong and it can look stylish!